As accountable care organizations (ACOs) become a larger segment of health care delivery in the United States, providers will have to adjust to that model’s incentives. Expect outcomes-based reimbursement and greater patient involvement to become common practice in the years ahead. The improved information demanded by ACOs may push vendor-neutral archives (VNAs) into a prominent role. Zavalkovskiy outlined his vision for VNAs’ future at a clinical interoperability symposium hosted by TeraMedica’s VNA Institute of Technology on March 24. He believes seamless integration of VNAs with EMR systems will be necessary, but the potential benefits are worth the effort. Eliminating data migrations and improving communication throughout the medical enterprise would benefit health care organizations, but having patient histories and prior images available at the point of care would be a more far-reaching development: It would improve care and reduce redundant imaging. Because ACOs provide less money for care, he believes the incentives to reduce costs will drive many institutions to consider something like a global VNA. Flexibility will be another driver. Cloud-based VNAs allow medical facilities to shift resources from capital to operational costs, Zavalkovskiy says. For example, a powerful workstation only has value when it’s being used, which depends on where it’s located and who has access to it. Rather than maintaining their own hardware, health care organizations can subscribe to a cloud service that can be accessed from multiple interfaces throughout the health care system by anyone who has the proper login credentials, and costs can be adjusted based on how much storage space the facility uses. Adding applications that monitor workflow more efficiently to the cloud service would help administrators anticipate areas of need. “You can create good logic rules and, over time, you can shift not just to meet a need—you can also have the system programmatically decipher what’s needed and when and allocate those resources ahead of time because you start to recognize the patterns and see how people actually work,” Zavalkovskiy says. A database that encompasses numerous health care systems would give a big boost to medical research, too. One limiting factor in medical research is data collection. The capability to work with anonymized data in a large, interconnected database would make research much easier. To further increase efficiency, Zavalkovskiy envisions an archive with a range of possible applications, similar to Apple’s App Store. An applications menu would allow researchers to access data directly through their workstation interface with either existing applications or new ones that they’ve developed to suit their needs. Zavalkovskiy thinks a global VNA also would improve data security. Because it would be spread across multiple locations, facilities would be forced to develop policies and procedures that not only meet government standards but also are mutually agreeable among several stakeholders. Although cloud security still has room for improvement, he believes that multiple health care systems working together can produce a security infrastructure that would be among the most effective in the world. This could entice smaller hospitals and medical facilities to subscribe to a global VNA service. Patients would benefit as well. Many health systems are moving toward enterprisewide archiving, but Zavalkovskiy points out that, although such efforts create larger pockets of users, they still don’t produce a comprehensive patient record. Because patients often receive care through multiple medical systems, they could potentially have a more complete history available through a global VNA. Even integrating the health care enterprise initiative’s efforts to link multiple systems in a geographic area has limits. The capability for patients to manage their own records is what’s really needed, he says. In addition to allowing hospitals and medical centers to opt in, patients could opt in even if their provider doesn’t subscribe. Zavalkovskiy says patient information could be sent to a global archive via a secure URL, and patients could grant access to any facility they choose. This would give patients a greater measure of control over not only their records but also their care. Ultimately, patient access will require better ways of sharing information. Zavalkovskiy says it’s still very difficult to aggregate patient records if the patient has records across multiple health care systems because there’s no efficient mechanism for sharing them. Although technologies already exist to match the DICOM headers of images that were created in different health care systems, protocols for image transfer between institutions are still in flux and will be for a while, he notes. In addition, VNAs have the most effective tools for consolidating and distributing patient data among multiple providers, and Zavalkovskiy believes there eventually will be a national patient registry, similar to ones that are used in some European countries. Although the current market may be premature, he thinks a global archive is the right solution to meet the ACOs’ demands. The biggest hurdle may be that there’s still a great deal of competition among health care providers. Until enough providers decide to work together, VNA interconnectivity will be slow to develop. However, he believes that institutions will find it necessary to cooperate. — David Yeager is a freelance writer based in Royersford, Pennsylvania. 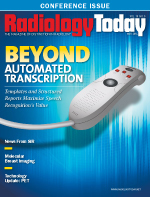 He writes primarily about IT topics for Radiology Today.